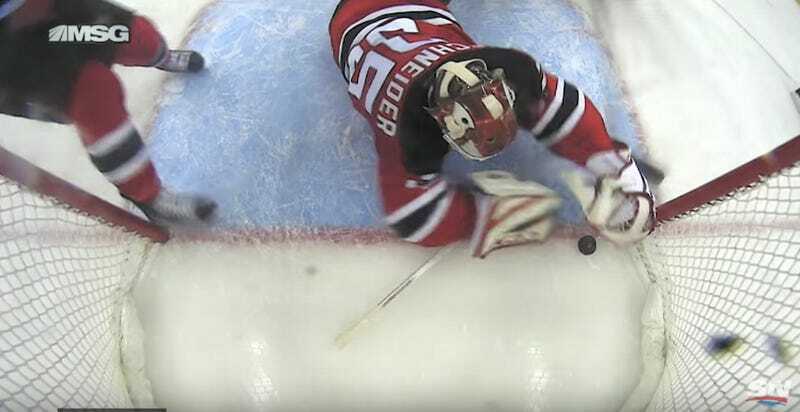 The Boston Bruins came ever so close to scoring in the first period of yesterday’s game, but Devils goalie Cory Schneider scrambled and fell on the puck before it made it over the line. The shot from the camera inside the net is excruciating if you’re a Boston fan, and delightful if you’re anyone else. Schneider finished the game with a shutout as the Devils won, 3-0.